patterns > What's for Dinner? 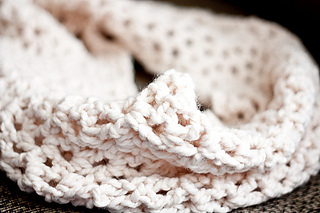 This is a super-easy crocheted cowl, perfect for cold winter days. 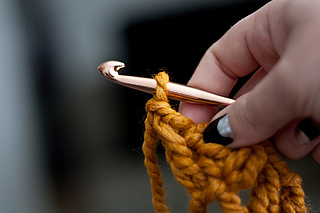 It’s easily sized up or down by adding or reducing the number of V-Stitches included. The pattern calls for 2 skeins of super-bulky yarn, like Lion Brand Wool-Ease thick and quick.